Uganda’s Netball National team, the She Cranes booked a slot at next year’s world cup following a 64-56 win over Zambia at the ongoing African championships. The win was Uganda’s fourth at the tournament that also doubles as qualifiers for the Netball World cup in Liverpool next year. With the team knowing that a win would take them to the global showpiece, they started strongly, leading 18-12 after the first quarter before taking a 25-34 lead at halftime. Zambia tried to mount a comeback in the thirs as they were rallied by home fans and the side managed to edge it 17-14 to reduce the deficit to six goals going into the fourth. The She Cranes, however, managed to come out of their blocks and won the last 16-14 and seal a 56-64 victory. At this year’s event, Uganda has now won all four of its fixtures after defeating Namibia 72-47 in the first game, Malawi 51-46 in the second and then Kenya 61-42. Uganda joins Malawi and South Africa who had already qualified by virtue of their World Netball Rankings. The 2019 Netball World Cup will be the fifteenth staging of the premier competition in international netball, contested every four years. The tournament will be held from 12–21 July 2019 at the Echo Arena in Liverpool, England. 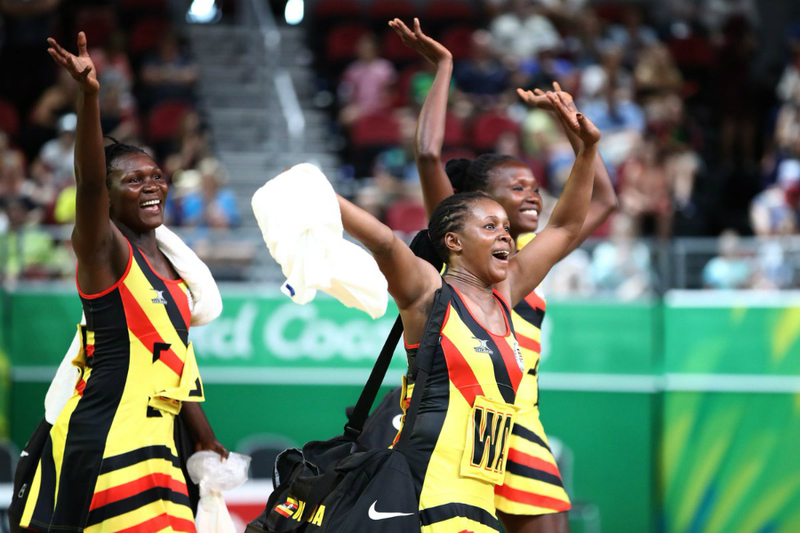 This is the third time Uganda will be playing at the Netball World Cup – The She Cranes also qualified in 2015, for the first time since 1979 in Trinidad and Tobago. The East African nation finished seventh at the Netball global showpiece in 2015. Uganda will now look to defend their African Championship crown on Saturday when they take on Zimbabwe at 02:00pm.